Another Bassman variation, the Bassman Ten. Sweet little 4×10 combo with both channels blend-able because they are in phase. 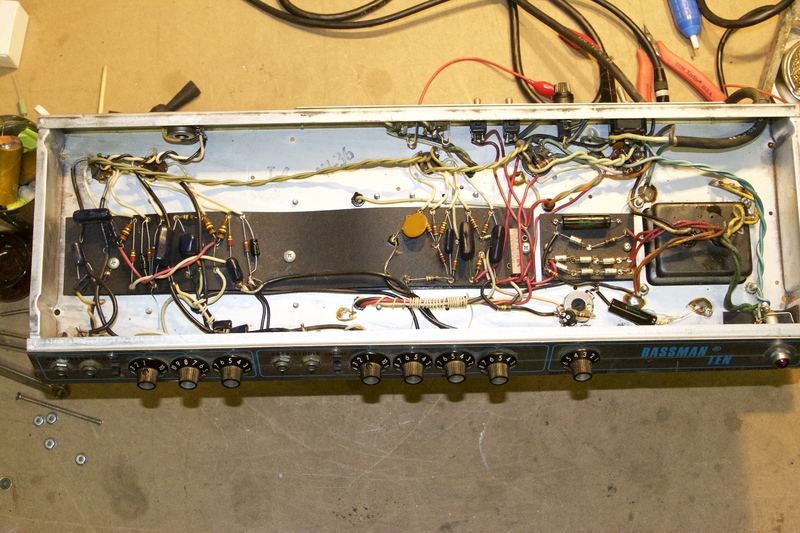 Most of the other Fenders have channels 1 and 2 out of phase because of the added reverb stage of channel 2. 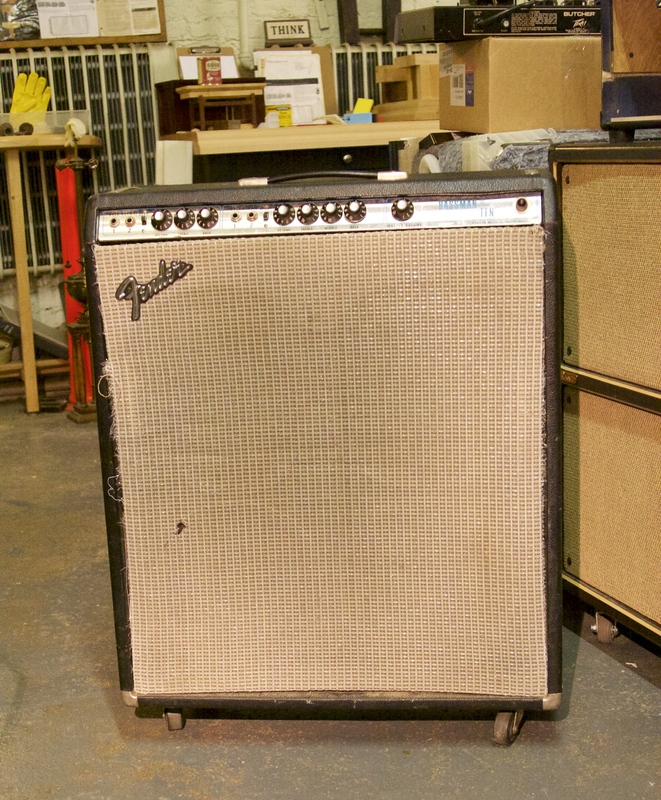 This amp is really clean, even when cranked. Strangely has four 32 ohm speakers wired in parallel for 8 ohms. Did 42W at clipping with two 6L6GCs..